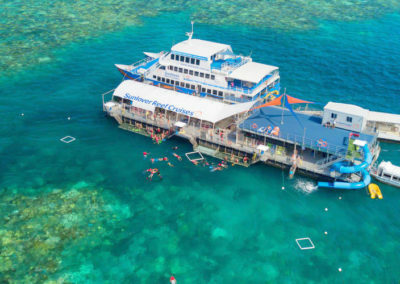 This day cruise to Outer Barrier Reef is great value for money with plenty of time to explore the Moore Reef from the activity platform ! 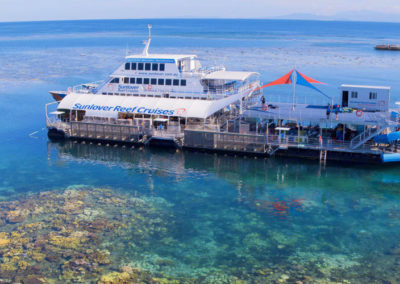 You will travel on modern air-conditioned catamarans to the platform at Moore Reef with cruises departing from the Cairns Reef Fleet Terminal daily. Enjoy the wind in your hair and the complimentary morning tea as you travel out to sea. Informative presentations and snorkelling briefings are given during the journey. 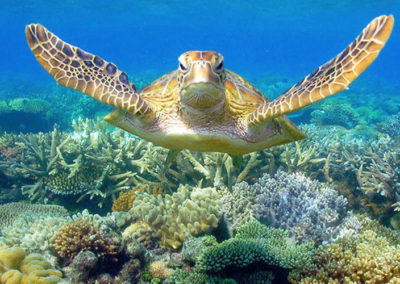 As you arrive, collect your free snorkel equipment and jump in the water to marvel at the abundance of marine life. 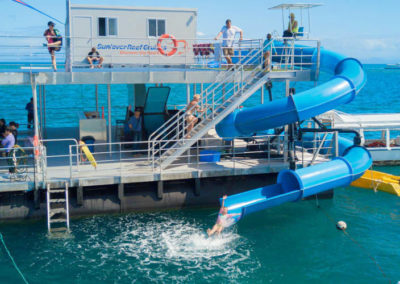 The non- snorkelers in the group will enjoy the guided coral viewing tours in glass bottom boats, the on board touch tank and the water slide into the ocean which the kids will love. A delicious buffet lunch is served on board featuring fresh seafood, hot dishes, salads and tropical fruits. 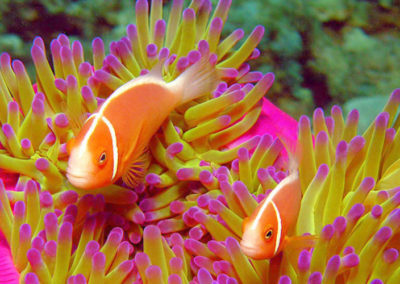 Divers may wish to upgrade and take an introductory or certified dive. Scenic helicopter flights, guided snorkel tours and seawalker helmet diving can also be organised on the day. This tour has it all. From snorkelling to glass bottom boat tours, touch tanks and many additional activities- there is something for everyone. 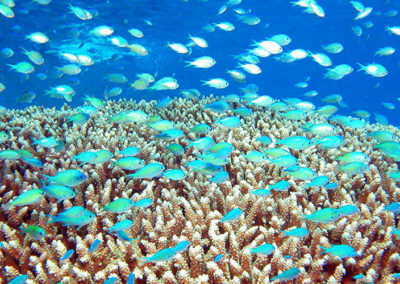 Discover the unique marine life and coral reefs on this Outer Barrier Reef Cruise. Book online to avoid missing out!